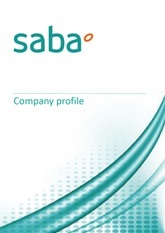 Saba is a benchmark industrial operator in the development of solutions in the field of urban mobility, specializing in car park management. This website uses third-party cookies to improve our services through the collection of analytical data on browsing habits. By continuing to browse, you accept the use of these cookies. To change your configuration or get more information, click here.